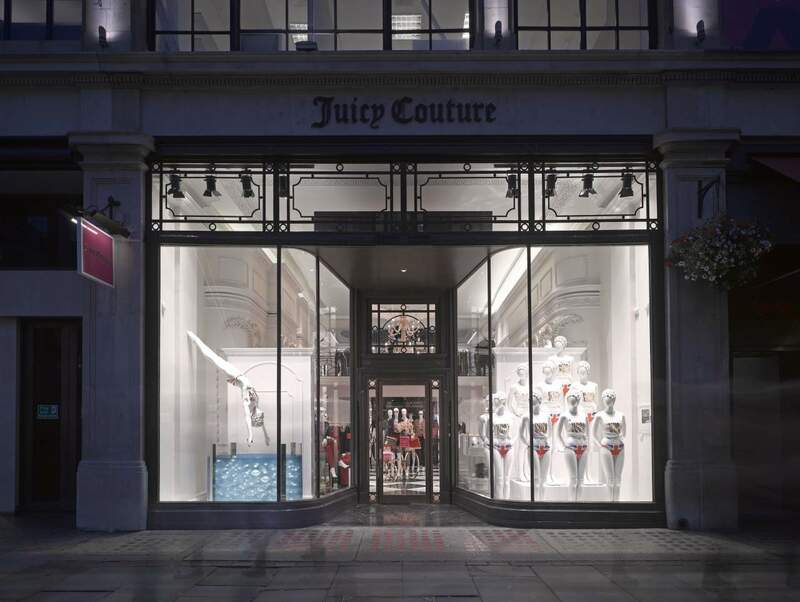 MRA were proud to be invited to work with Juicy Couture on the design of their new Regent Street flagship store. The brief was to create an environment reflecting the brand's updated aesthetic, combining couture with flamboyant LA style. 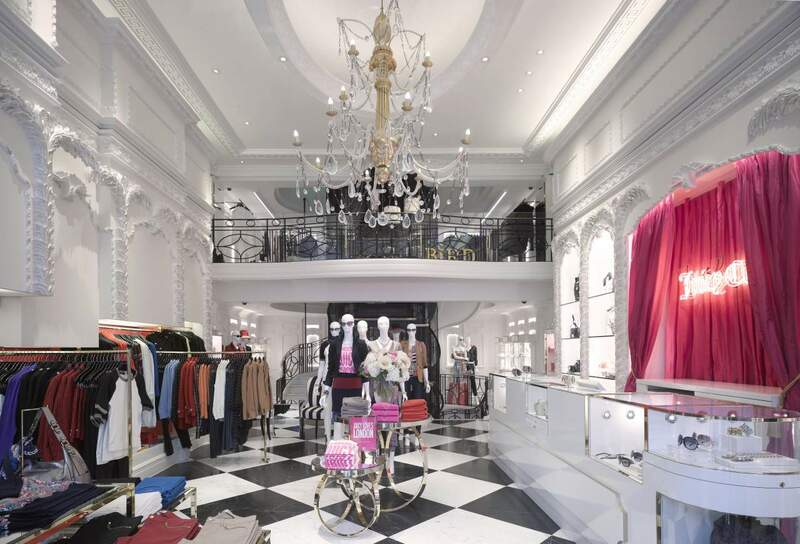 The interior combines grand details and modern glamour with a playful spirit, fine detailing enhancing the character of the Grade II listed building, with pink glass and brass adding a sense of fun. 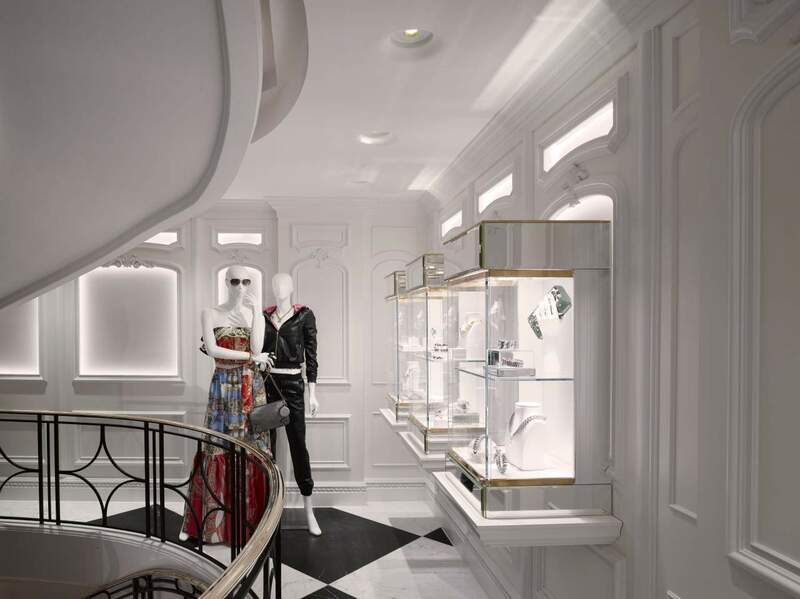 Highlights include lavish mouldings, a striking marble chequerboard floor and a bespoke chandelier, whilst the iconic Juicy tracksuits are given their own 'library'.